These acronyms are more than just random letters placed together. They are all examples of media pricing models and metrics for success that you should be aware of when running a campaign. You have probably heard or read some of these terms in the past, but may not fully understand what they mean and how they could effect your bottom line. We’re here to help break down these models and formulas into understandable information that you can use the next time you hear one of these acronyms. So let’s dive right in and start covering these formulas. The first group we’re going to cover are digital media pricing models. This formula is a performance based pricing model that tracks and measures cost effectiveness of online impressions, which are sold by the thousand. The CPM formula is the most common pricing model used in the media industry. 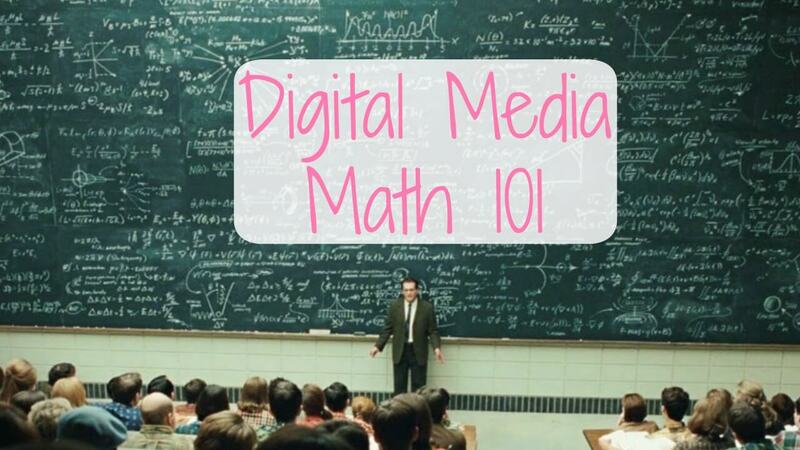 This calculation will help you understand and compute how much you will pay each time your audiences engage with your media or advertisement by clicking on it. This is a pricing model in which payment by your company is based solely on your audience completing a qualifying action(s) that you define. Some examples of actions are completing a sign up form, filling out a survey, or even completing a purchase. In this situation, your KPI (Key Performance Indicator) will be the “action” that needs to be completed. For this model, that means whatever you are measuring to judge the success of your campaign is what you will divide into your media cost. The second group of formulas we’re going to cover are performance metrics. These models are essential to fully comprehending a campaign’s success. The click through rate model is simply a ratio of exactly how many advertisements are seen by audiences, in comparison to how many people are actually engaging with your advertisements by clicking on them. Calculating your click through rate is one way to measure the effectiveness of your advertisements. This formula calculates the percentage of audience members who take a desired action defined by your company such as purchasing a product, registering for a membership of some kind, or subscribing to your company’s newsletter. In order to achieve a high conversion rate, the interest level of the visitor needs to be high. This can be improved by making sure your advertisements are reaching the visitor at the right place at the right time in their path to purchase. Your company will also need to ensure that the offer is attractive enough for the visitor to actually complete the desired action. Typically, smaller, less-intensive actions have higher conversion rates. The return on investment model calculates the ratio of profits or losses to the amount that was originally invested in the advertisement or media. This metric can be difficult to calculate with the growing number of channels from display, SEO and pay per click working together in one advertisement. All of the metrics mentioned above should be closely monitored throughout the duration of your campaign. Comparing the performance over time can help you identify optimization opportunities to more efficiently spend your budgets. RTB-Media’s free reporting tool can help monitor these metrics on a daily basis with just a few clicks. Reach out to our team to learn more.